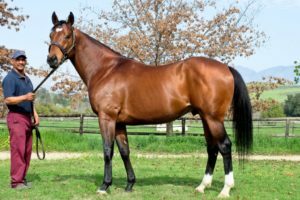 The beautifully bred two-year-old Maqsad, who is from the immediate family of Cheveley Stud’s exciting young stallion Wylie Hall, made a smart debut when winning first time out on Wednesday. A homebred for Shadwell Stud, the Hayes Dabernig trained filly Maqsad opened her account with a tenacious half neck win in the 1000 metre maiden at Seymour beating Not a Single Doubt colt Abiding on debut. Out of the More Than Ready mare Moojeh, Maqsad is a daughter of Not A Single Doubt (who, like Wylie Hall, was sired by the late, great Arrowfield stallion Redoute’s Choice. Maqsad’s third dam Electric Belle is also the granddam of Wylie Hall and this is also the immediate family of 2019 G1 winners Yourdeel and Melody Belle, as well as the likes of Oakleigh Plate winner Drum and the Redoute’s Choice sired Oaks winner Anamato. 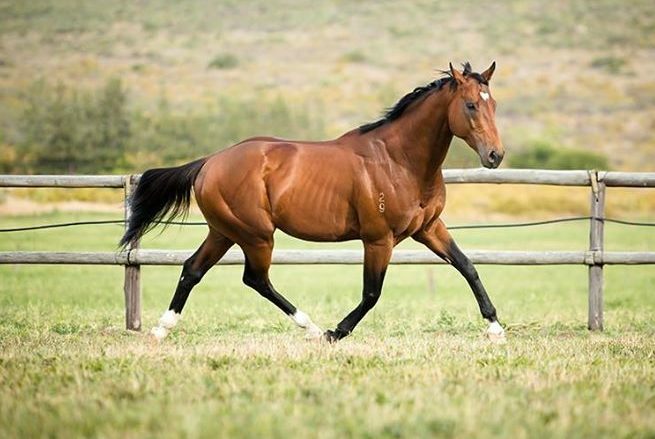 One of the best horses of his generation, Wylie Hall (one of 34 G1 winners sired by Redoute’s Choice) won six times with his victories headed by the G1 President’s Champions Challenge, G1 SA Derby, G2 Colorado King Stakes and Listed Derby Trial. The impeccably bred bay has made a great start to his stud career, with Wylie Hall’s early 2yos headed by Storm Bird Stakes winner Twilight Moon and debut scorer Wily Lass. Wylie Hall has six lots on offer at the 2019 Emperors Palace National Yearling Sale, including a half-brother (Lot 278) to multiple stakes winner A Time To Dream, a half-brother (Lot 407) to the smart filly Dancing Queen, and a half-brother (Lot 473) to KZN Guineas Trial winner Sir David Baird.